Beets are hearty root vegetables that, depending on the variety, are used as feed for animals, processed into sugar or eaten as a side dish and salad component. 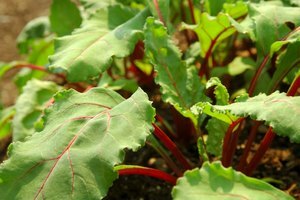 Typically with a deep red flesh, beets are cultivated in different varieties with other colors, such as yellow and orange. 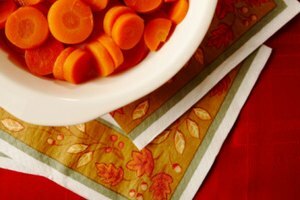 Like many root vegetables, they can eaten raw, sauteed, roasted and boiled. 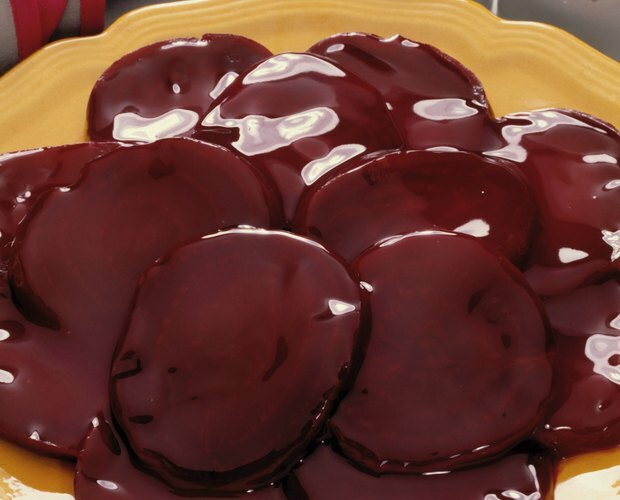 One of the problems when cooking beets, especially boiling or steaming them, is that they leech liquid in a manner that looks as if they are bleeding. Leaving beets whole with part of the root attached is the key to preventing beets from bleeding during cooking. 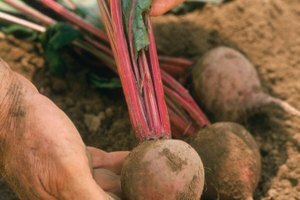 Choose fresh beets that have at least 2 inches of the root end still attached. Select beets that have a firm flesh and no damage to the outer skin. Wash the beets under cold running water to rinse them of any dirt or debris. Use kitchen shears to trim the beet root to about 1 1/2 inches long. Place a medium-sized pot on the stove filled with lightly salted water on medium heat. Add the whole beets to the pot and cook until the flesh begins to soften. Boil for at least 30 minutes and up to as much as one hour, depending on the size of the beets. Remove the beets from the pot and allow to cool. Apply gentle pressure to the skin and root and it should just slide off. Slice or mash the beets, season with salt and ground black pepper and serve. Repeat Steps 1 and 2 of Section 1. Coat a glass baking dish with vegetable oil spray. Add the beets to the dish and place into oven. Bake the beets for at least 30 minutes -- longer for larger beets -- until the flesh feels soft to the touch. Remove beets from oven and allow to cool. Remove skin under cold running water. Season with salt and ground black pepper and serve as desired. 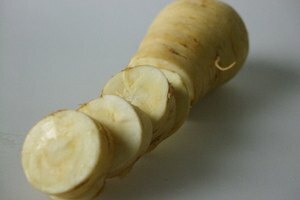 How do I Prepare Parsnips for Soup?